Here comes the summer with Mongozo! Summer is just around the corner. To create that authentic summer feeling, combine sultry temperatures with an exotic Mongozo beer, served in a coconut shell. A refreshing glass of Mongozo Pilsner or white beer is also an excellent choice on a balmy summer evening. We can’t wait for the summer to begin and this year will be celebrating the hottest season in a particularly exciting way. Why not join us at the Mongozo Midsummer Night Party on 21 June 2018? Or at one of the beer festivals we will be attending? Share your summer Mongozo moment by sending us a personal message through our Facebook page or on Instagram, using the #Mongozosummertime hashtag. We will be giving away coconut shells to selected contributors so that they can enjoy that extra-exotic Mongozo experience for themselves. We hope you have a fantastic, sunny and exotic Mongozo summer! 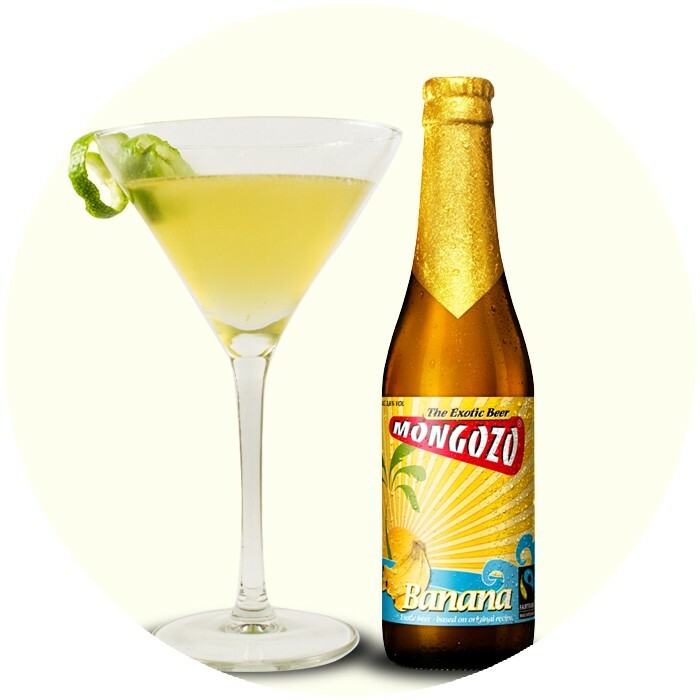 Hot days, balmy nights: summer is the perfect time for enjoying Mongozo’s exotic beers. All the more so if they are served in a Mongozo coconut shell. 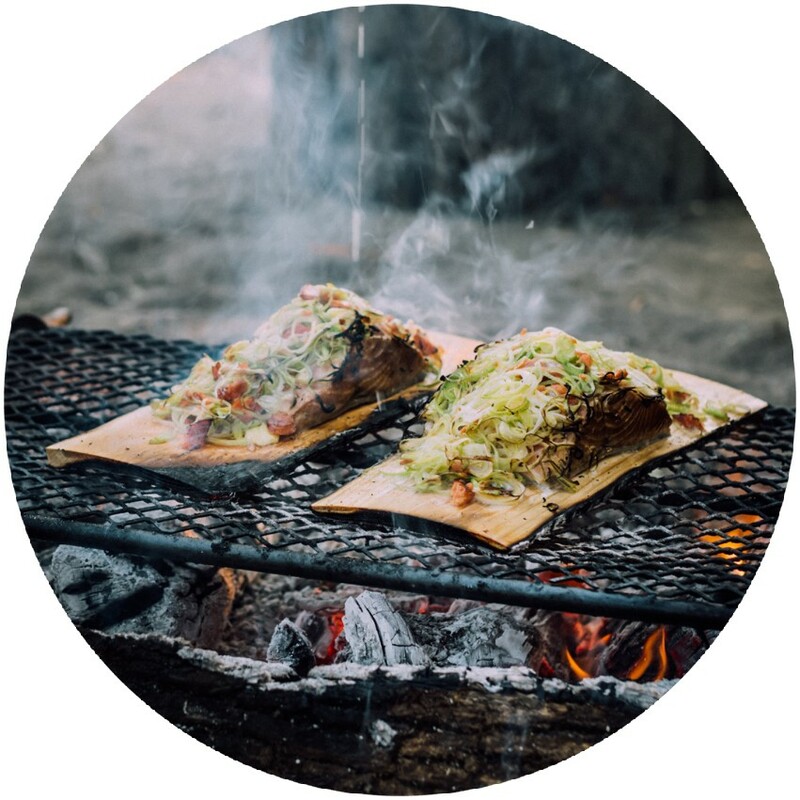 The holiday season is nearly upon us, the aroma of barbecues fills the air, and restaurant and bar terraces are filled to capacity. Do you have any good Mongozo beer and barbecue food pairings? A fresh salad with Mongozo Buckwheat White perhaps, or a fruit dessert that goes well with Mongozo Mango? Share your perfect Mongozo Beer&Food Match through social media using the #Mongozosummertime hashtag, or by sending an email to info@mongozo.com, to receive a Mongozo Summertime pack (as long as stocks last). 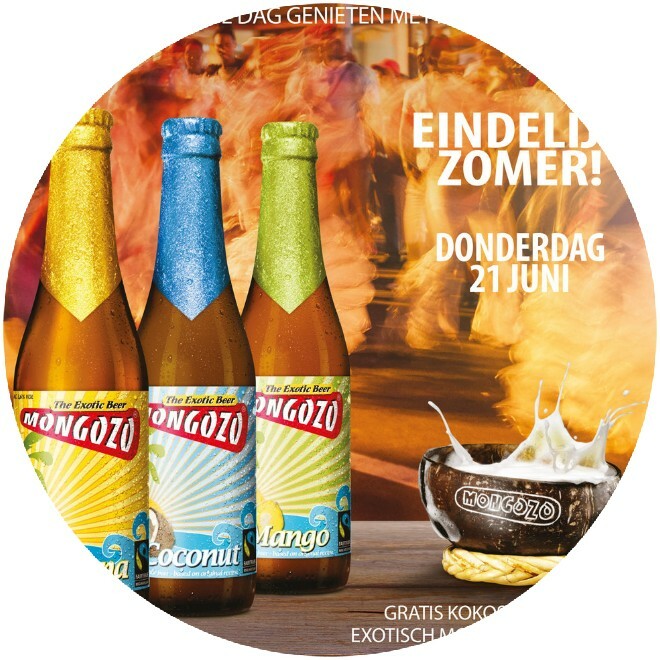 On 21 June, around 20 bars across the Netherlands will be participating in the Mongozo Midsummer Night party, at which Mongozo beers will be on tap. Guests will receive a Mongozo coconut shell that they can use as an exotic drinking vessel. This is a great chance to experience the official start of the summer, the longest day and the shortest night, all in a uniquely exotic Mongozo way! Check www.mongozo.com to find the nearest participating bar to you. Summer is also a great time for enjoying delicious cocktails! Did you know that you can use our beers to create fantastic flavour sensations in cocktails? Recipes for unique Mongozo cocktails can be found on our website. For inspiration, take a look at our youtube or visit www.mongozo.com to view recipes. ... that Mongozo Coconut was extremely popular at the Craft Beer Weekend in Vienna? ... that Mongozo Coconut is perfect for making ice cream? This was a real hit in Vienna too. ... that Mongozo has exhibited at another Biofach and can once again look back on another successful year at this Nuremberg trade fair? ... that Mongozo also made its presence felt at the Free From Functional Food Expo in Stockholm? ... that Mongozo will be attending beer festivals in Germany this year? Find out more through our social media channels. ... that the importer of Mongozo beers in Vienna will be holding tasting sessions, in cooperation with Fairtrade Austria? Journalists will be invited to this event, which is a fantastic initiative. We also have an important message for you regarding the new European data privacy law, the General Data Protection Regulation (GDPR), which came into effect on 25 May. This regulation allows you to have more control over the information you share with us and makes it easier for you to see how we handle such information. This message is only to inform you about the changes made to our privacy statement. No changes have been made to your current settings and you therefore do not need to take any action. The privacy statement automatically took effect on 25 May. You can find our privacy statement here. For more information on the GDPR, visit the website of the Information Commissioner’s Office.